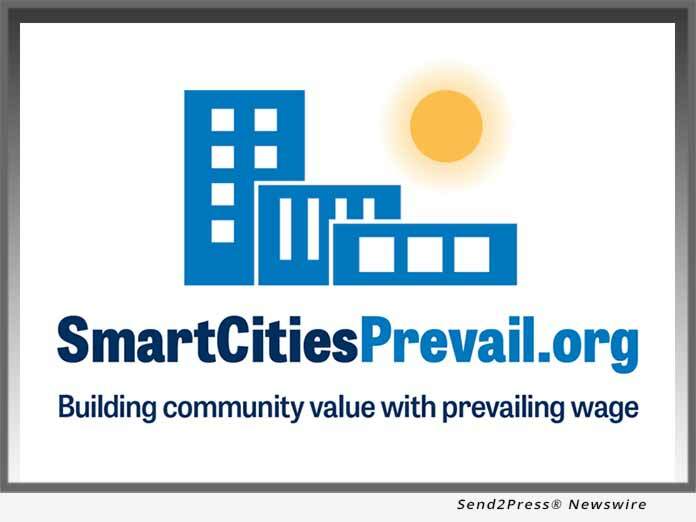 SACRAMENTO, Calif. /California Newswire/ — Smart Cities Prevail today released a series of new TV advertisements on prevailing wage laws, part of a multi-state public information campaign launching in California and New Mexico. Research has shown that prevailing wage laws disproportionately impact veterans, because they work in construction at higher rates than non-veterans. Established in the 1930’s, prevailing wage laws establish the local market minimum wage on different types of skilled construction work. Typically, the wage includes a base wage, benefits and training contributions – based on surveys of workers performing similar jobs in the community.